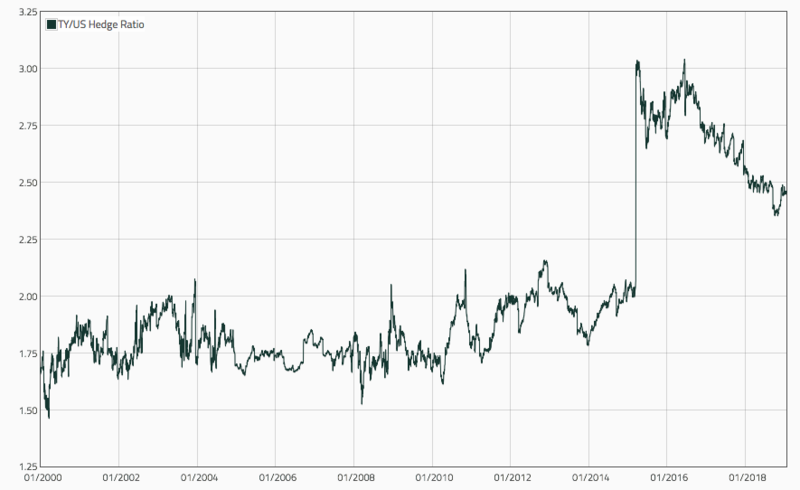 How can I approximate the hedge ratio for Inter Commodity Treasury Spreads? 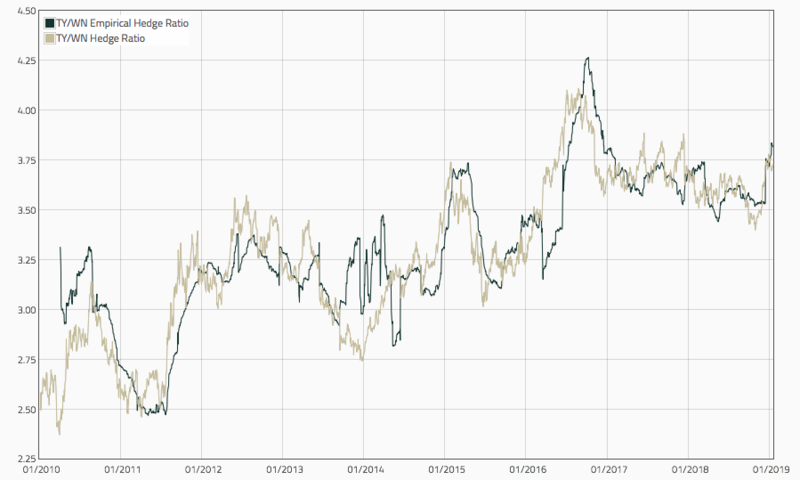 Looking at the excellent CME Treasury Analytics tool, I can see that the hedge ratio for spreads betweend diff treasury futures is derived from the DV01 of each leg. I can get treasury futures data and test strategies, however I don't think is that easy to get historical DV01 in order to get the historical hedge ratio. Is it possible to approximate the Hedge Ratio using using the minimum variance approach?....what would be an appropriate rolling window for the calculation? But to be honest, it's probably better to compute the actual DV01 over time... The chart below shows the historical TY/US hedge ratio. The jump results from the US contract spec change in 2015 that drastically changed the duration of the US contract. Empirical models would struggle a great deal. Not the answer you're looking for? 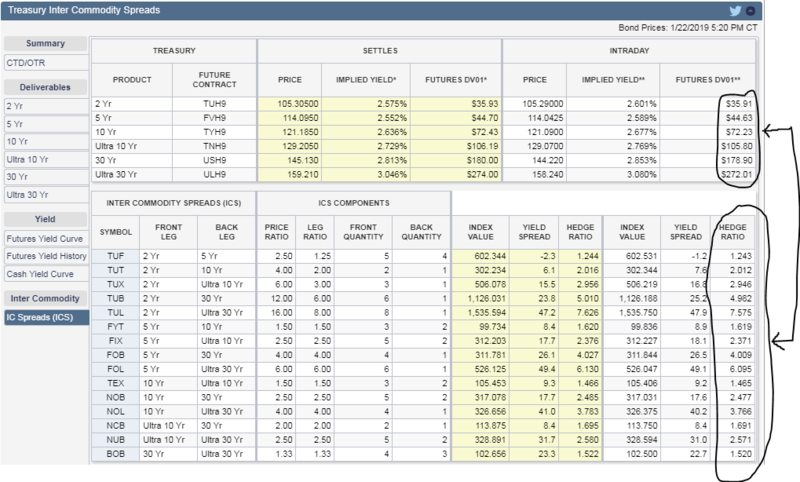 Browse other questions tagged fixed-income futures hedging spread bond-futures or ask your own question. Can the futures market's open interest predict commodity, treasury, and equity returns? Can one use options on Treasury futures to hedge a portfolio? How to hedge an off-the-run bond? How can we compute the daily drop in gross basis?